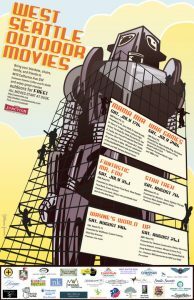 Star Trek (2009) rescheduled for tonight at WSOM! 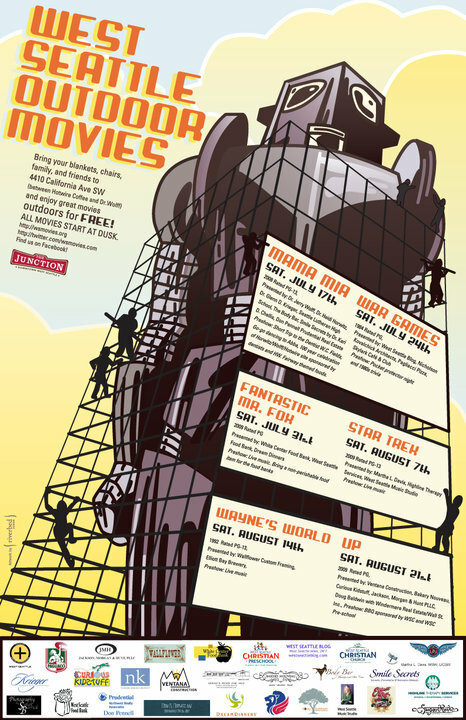 That’s right folks, West Seattle Outdoor Movies is showing Star Trek (2009) tonight! Come by to get your spot (bring your blanket or chair) around 6:30pm to the courtyard between Hotwire Coffee and Dr. Wolff’s Office, 4410 California Ave SW. There will be lots of fun and good people. *This Junction Association event has helped raise money for many local non-profit organizations, including: West Side Baby, West Seattle Food Bank, West Seattle Helpline and White Center Food Bank. Way to go at supporting our community!